Over the past several years, online business apps have slowly replaced traditional accounting software. While larger companies still invest in and use standalone systems, many small businesses don't need that kind of accounting power. An online accounting system might be a better fit for you than trying to manage hefty software or hiring an accountant. Depending on your accounting needs, there are both advantages and disadvantages to this solution that you should consider before you dedicate yourself to it. 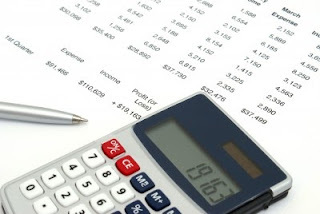 One main advantage of online business accounting software is that it does not require you to page large amounts for expensive computer software. Instead, a small fee is charged on a monthly basis. You also don't need to install any additional items like network software, a file server, upgraded hard drives, and additional RAM. There will also be no need for you to hire an accountant or additional employees to learn how to handle complicated software because everything is easily done online. Online accounting is easy to use and you won't require any special training to get started. As your business continues to grow, the software grows with you. There's no need to make special modifications to your systems as you go. To help track your accounts, the online solutions also provide you with financial reports that are easy to analyze and easy to store. One of the biggest disadvantages to an online accounting system is that it is less secure. Even if you have great encryption techniques, your data is at high-risk of being stolen by online hackers. There are also higher chances of the system being infected by a virus or worms, which could ruin the entire system. If no antivirus or firewall is used, your data will be at even higher risk. Online systems are often less customizable, too, so you may be limited to whatever the designer gives you. With fewer features being offered to you, it could make the process more difficult and annoying to use. Because online accounting software is dependent upon Internet connections, you may experience additional problems outside of the software itself. For example, if you are working online and your internet connection fails, all of your work could be easily lost. This could greatly affect the growth of your business if you work in an area with low quality internet providers. To ensure that you receive higher internet connections, you will have to pay more for faster, more reliable DSL or high-speed internet. Regardless of the type of business that you have, you should carefully consider the advantages and disadvantages of online accounting solutions. Decide what features are most important to you, and whether the advantages outweigh the disadvantages. In the end, you may even decide that online solutions are just not right for you. A simpler app may be the best way to go fo your particular business. Consider the needs of your company and the resources you have such as your data connection, too. Careful planning and an understanding of what works best for you can save you a lot of headaches further down the road.